Zoe Nathan describes herself as a baker with a love of preparing all things dough and dessert related. 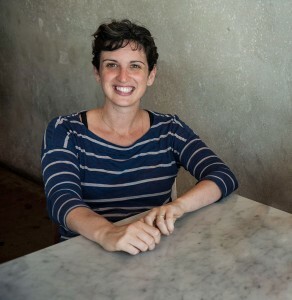 Her approach to baking is centered around the use of great ingredients, a philosophy that is infused into all four of the restaurants she co-owns with her husband Josh Loeb: Rustic Canyon Wine Bar & Seasonal Kitchen, Huckleberry Café and Bakery, Sweet Rose Creamery, and Milo and Olive. In summer 2015, Zoe and Josh will open Esters, a wine shop and wine bar with partners Kathryn and Tug Coker, as well as Cassia, a Southeast Asian brasserie with Food & Wine Best New Chef Winner Bryant Ng and his wife Kim. Huckleberry: Stories, Secrets, and Recipes from Our Kitchen contains 115 recipes for Zoe’s legendary brunch dishes, sweets, sides, and pastries. Photo credit Emily Hart Roth.